Nederlandse versie in de maak! A starter is a piece of dough which contains wild yeast and bacteria which you use to make your bread. The wild yeast produce carbon dioxide (and a bit of alcohol too) to make your bread airy. 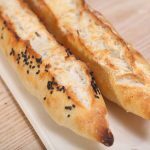 It is the bacteria that can give your bread the sour taste, this is because the bacteria transform the starch of the flour into lactic acid, acetic acid and alcohol. Both the acid and the alcohol give sourdough bread their unique and interesting taste. You add an amount of your starter to a larger amount of flour and water mixture like you normally use commercial yeast to a poolish or a biga preferment. It works just the same only slower. Commercial yeasts are selected and bred for speed by the big yeast companies but wild yeast works at a slower pace. This is why bread recipes for sourdough bread tend to take much longer and consist of more steps. Why a rye starter culture? For my sourdough baking I use a culture which is made with 100% whole rye flour. A sourdough culture based on rye flour is easier to maintain, it does not go into a slurry like a wheat flour starter when you forget about it, it is easier to stir because it has almost no gluten and it smells very very nice, a bit like fruit. It is also very forgiving in the amount you feed it. You feed your culture after baking to replenish your stock. Normally I only feed it once a week, after my weekend baking, I just give it a few table spoons of water and rye flour, stir and ready! First thing: work clean! Use a clean jar and always use clean spoons to stir and add flour to the mixture. The organisms living on your hands can contaminate your starter and spoil it! Throw away your starter and start over when it develops an awful smell or grows moldy in whichever color, it probably has picked up a bad bacteria in the first feeble stages of the starters life. After some research I found that the most likely truth of the source of the yeast and bacteria is the flour itself. The yeast and bacteria live on the outside of the grain (just like the yeast to make wine lives on the skin of the grapes). This is why you need (preferably organic) whole grain rye flour, because you need the outside bran of the grain as a source of yeast and bacteria. I start with a relative wet starter and when the starter is alive add more flour to maintain a more stiff starter. I start with a small amount of water and flour as not to waste too much flour, because you have to throw halve of the starter away with each refresh. When your starter is alive and kicking you always can scale up the size of your starter simply by adding more water and rye flour. Be sure to use water which does not contain chlorine. Water companies sometimes add a little chlorine to your tap water to kill all bacteria and probably also the yeast in the water, so it is not a good idea to use this for building a sourdough starter. If in doubt you can use bottled water. And now on with the easy steps! Day 1: Take a small clean jar (I use a 400ml jam jar) and add 40ml of water and 40g of whole grain rye flour, stir with a clean spoon for 30 seconds. Draw a line to mark the height of the mixture with a permanent marker on the jar so you can see any activity easily. Loosely close the lit of the jar and store at room temperature (about 20-21 degrees Celcius) out of direct sunlight for 24 hours. Stirring the mixture every 3 to 4 hours for 10 seconds helps distribute the flour, yeast and bacteria and aerates the mixture which helps development. Day 2: If you are lucky you should see some little bubbles of air in the mixture. The smell of the mixture at this stage is not very nice, a bit musty but not totally off putting. Add 20ml of water and 20g of whole grain rye flour. Stir with a clean spoon for 30 seconds. Draw a new mark line if needed. Loosely close the lit of the jar and store at room temperature out of direct sunlight for 24 hours. Stirring the mixture 2 or 3 times a day for 10 seconds helps distribute the flour, yeast and bacteria and aerates the mixture which helps development. Day 3: Your mixture should now be getting active. Mine did more than double in size during the last 24 hours. If your mixture is not very active yet, throw away half of the mixture and repeat the directions of day 2 again. The smell of your mixture should be a little nicer at this stage. When your mixture is active, throw away two third of the mixture and add 30ml of water and 30g of whole grain rye flour, stir with a clean spoon for 30 seconds and store at room temperature. Stir the mixture 2 or 3 times a day for 10 seconds. This is called refreshing or feeding your starter. By throwing out part of your mixture and adding new rye flour you give the starter fresh food (the rye flour) to work on, so all your new yeast and bacteria can get ‘stronger’ and multiply again. You also dilute the alcohol and the acid they produce so the yeast and bacteria do not ‘poison’ themselves. Day 4: Your starter should now be fully active and strong enough to double or triple in size during a 24 hours time period. We need to refresh it again before we can use this starter because the acid producing bacteria need more time to develop than the yeast. So throw away two third of the mixture and add 30ml of water and 30g of whole grain rye flour, stir with a clean spoon for 30 seconds and store at room temperature. When your starter is not active repeat the steps of day 2 and 3 until it is getting active. Sometimes it just takes a few days longer, depending on flour, area and temperature. When at any stage your starter gets moldy, smells bad or you see colored spots on your starter which do not seem to belong there, you sadly have to start over as you probably picked up some bad guests. Day 5: Your starter should at least double in size consistently after each refreshment to be ready for your first baking project. If your culture does not double in size consistently after day 4 or 5 repeat the directions of day 4 until it does. At this stage your starter should be developing a nice fruity smell during the next few days. You can now let your starter rest for a few days. After refreshing, I keep my starter on the counter for 12 to 24 hours, look for it to double in size and develop and then store it in the fridge. Mine developed a nice fruity tone on day 6 which got even nicer on day 7. Just keep using and maintaining the starter from now on, after a while the color of your starter should get a little bit more beige after it has doubled or tripled after a feeding (notice the difference in color of my old and new starter). This is a sign of maturation of the starter and the production of acid. A rye starter does not need much maintenance. We store our starter in the fridge. We bake (almost) every weekend so our starter is being refreshed at least each week. We keep about 120g of starter of which we use about 60g up to 100g each week. So after taking out the amount for baking, we just add water and rye flour and stir, so we have about 120g of starter again. We keep our starter quite stiff, almost like a thick paste. The reason for this is that it will develop a lot slower with less water, so it matures during the week and is ready for baking the next weekend. After feeding we keep the starter on the kitchen table at room temperature (usually around 21C) for about 12 hours so it can develop and double or triple in size. When it has developed, we store it in the refrigerator until the next baking session. Always wait for your starter to at least double in size before storing it in the fridge, a starter should be fully developed before it can survive in the cold. A starter kept in the fridge should at least be refresh every two weeks. A starter kept on your counter should be refreshed at least every three days. If we want to bake, we take it out of our fridge and use it directly for a poolish or biga. Then refresh it, so it will be ready and active for our next baking session. That’s it! 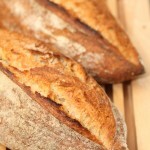 More sourdough tips to help you bake that perfect sourdough loaf! Plus some recipe suggestions. We can also give you a head start with our own active WKB rye sourdough culture. You can find it in our Bakery Tools webshop (only shipped within the Netherlands, Belgium and Germany!). But don’t be afraid to give it a try yourself first! Had lots of difficulties getting the 100% rye starter working like in your pics so I thought I’d let your readers know what I did. Started the starter as per your instructions but even after 5 days it was not doubling in size however I think I’ve solved the slowness now. Firstly I’m in Perth Australia, it’s winter here, we have nice warm days 22c but cold nights 4c, the house remains cold during the day. Also we can’t get wholemeal rye here, just refined rye flour, but we can get rolled rye, so I added some rolled rye to the starter on day 2. On day 4 it was still sluggish so I added a quarter teaspoon of sugar, (probably a gram or 2). Day 5 and it was still slow so I put a night light (7watt) lamp into a cardboard box with a divider to block out the light and after 6 hours it was about 25c in the dark section of the box, then, late on day 5 I put the starter in this dark section of the box. Day 6 and it’s obviously more active now and surprisingly has developed a sweet fruity smell. Day 7 it’s tripled or even quadrupled in size, think we finally have a happy starter, will let it develop for a day or 2 more then attempt to make some 100% rye bread. 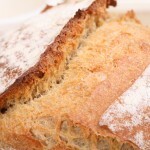 I want to make a starter from wheat flour (not whole-wheat). Is this possible? 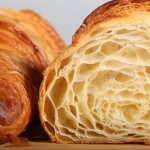 What difference will it make on the bake result? Hello Jasper. This is no problem, you make the starter from whole wheat, spelt, bread flour etc. Why we use rye you can read in ‘Why a rye starter culture?’. There will be a change in the final taste of the bread. Perhaps more sour, perhaps more sweet, all depends on the organisms growing in your starter as every starter is different depending on flour and location. Just give it a try! I followed every step, and my starter doubled or triple at the end of second day. At the third day, I followed “throw away two third of the mixture and add 30ml of water and 30g of whole grain rye flour, stir with a clean spoon for 30 seconds and store at room temperature.” , it seems didn’t rise up or just it rose up little after 24 hours. I threw it away and just started a new one from scratch, I am hoping this time will be ok. I read your June 12, 2014 email to Andrea, but my case is different. Would you please you help me to understand? Hello Ching! Please read our answer to the other comments like from ‘Sonya Kanelstrand’ and ‘Onewithnot’. It comes down to ‘keep on feeding’, different brand of flour, warmer or colder place. Happy baking! I’ve followed your steps, and have a question. My starter will double or triple throughout the day, after it has been fed. However it will also “shrink” back down near the end of 24hours. It looks like in your video that it stays pretty high? Any thoughts/tips? Thanks! No worries, this is perfectly normal and happens with our culture too. It rises up to a certain point and then shrinks a bit because some of the build up air escapes again. Sounds like your culture is doing just fine and you should continue as planned. Thank you very much! Good news for sure. First bake this weekend, very excited! I was not overly keen on using added yeast as I wanted to make my own sourdough and following a failure with my first attempt I decided to use your recipe. The dilemma I have is that the above recipe requires 198g of sourdough and I fear using your recipe I will be well short of this mark. I had success up to day 3 but did not throw out any of the mixture, added 40 and 40 in an attempt to have more sourdough and it failed to rise at all thereafter. I have gone back to day 2 and hope that tomorrow it will continue to rise but could you please suggest how I can create the necessary quantity of sourdough; is it a matter of adding in more rye flour and water the day before I bake or do I need to do something else? Good luck with the starter and happy baking! Thanks for the prompt reply, this is very informative. Given the rather unique nature of Rugbrod in comparison to your loaves, I am none the wiser as to how much sourdough starter I should be using given the quite significant volume of non-flour ingredients – cracked rye and linseed. Even using the percentages provided I struggle to work out how this would be applied to breads that have significant non-flour ingredients. You can use 20 g of your sourdough culture with 90 water and 90 flour the night before, leave to ferment and use that the next day in your recipe. Six days ago I converted my Bread Flour culture to an Organic Rye Flour culture using a 50/50 flour water feeding. I was most surprised by the rapidity of the response however, I notice that the culture, although active, always becomes very viscous or thick and heavy after more than doubling its volume. I now feed it using a 100/50 water to flour addition but always have the identical result. I can stir it although it is thick but I cannot readily pour it out of the jar. I keep the jar atop the refrigerator but it never seems too warm. Do you think my culture simply thickens because it is the nature of the Rye Flour? I will greatly appreciate your comment. The contents of may culture jar look identical to the picture of your demonstration jam jar. Your analyses is very good. The description you give of the rye culture is exactly like it should be so no worries there. A rye culture is not something you can or must pour out of a jar, it is something you scoop out. The way we bake and use it in our recipes you only need about 15 g per loaf (see our pain naturel for example: www.weekendbakery.com/posts…n-naturel/) and you add this to the preferment by dissolving it in the water of that preferment and then adding the flour and give it a quick stir. The next day you use the preferment with the other ingredients to make the final dough. I considered writing thus: ‘Dankie vor jou vriendelike antwoord. . .’ but I remembered that it is so long since I have used the Suid Afikaanse Boeretaal ( Afrikaans) that I would likely make a fool of myself and worse still, you might not understand it ( because many Dutch folk I have met do not). Anyway, thank you for a response that eased my concerns. My interest is in bread-making generally but I must here confess that as a consequence of an incurable muscle disease kneading dough is no longer an option. I therefore use (dare I confess?) a bread making machine. Another interest is the No-Knead method and baking via a Dutch Oven. I have no doubt you are acquainted with various mixture ratios. I am interested in the 1:2:3 ratio where one uses 150g sourdough starter, 300g tepid water and 450g of flour. Will this work OK with Rye Flour instead of White Bread Flour? 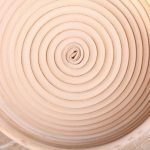 Also, could one use the fold and stretch method to develop the dough instead of having it sit inert in a bowl for many hours? I think I could handle the method having watched your video on the subject. I have recipe for a Light Rye bread which uses 300g Bread Flour and 180g Rye flour and the also a tablespoon of Gluten Flour. Any idea why Gluten flour would be required when so much bread flour is involved? Perhaps the recipe’s author used Gluten flour because he/she had it in the cupboard. We can understand perfectly! In Dutch it would be ‘dankjewel voor je vriendelijke antwoord’ so you can see how similar it is in this case. I understand quite a bit of Afrikaans and also have read some Afrikaans in the past and it is a joy to me to see how both language share so much and we would actually ne able to understand each other (partly anyway). We have to confess we never use the method you describe, but the ratio sounds OK to us. You can do all the things you say, but you have to keep in mind that the result will be different every time. We never advice to just take a recipe, never bake it like it is and immediately at first bake change the type of flour or method, unless you really know what you are doing and why. When using rye flour the result will be totally different, because rye has way less gluten than wheat. That is probably also the reason the gluten flour is added to the recipe you mention. Stretching and folding is a very good method for developing dough. It can be added to the process when you want to cut down on initial mixing or you can even leave out mixing altogether like you would do with the no knead method. Then there are methods that also omit the S&F, resulting in a different crumb and many times a more cake like consistency. I seem to have the opposite problem…my starter is overly active. Last night (second day) I refreshed my culture and in the morning it was triple in size. I thought that it would be too long to wait a whole 24 hours, so I did refresh it again. Do you have any advice for me? This is easily ‘fixed’, first by feeding / refreshing sooner, secondly by storing it in a cooler place if possible. But most importantly, just continue the process and go on to complete the 5 or 6 days needed to develop your culture and get it ready to use for baking. It may already look very active and ready, but it needs to fully develop and ripen. 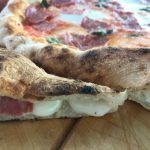 Please could you help me out with the steps taken from taking the starter out of the fridge to adding it to dough mixture? I keep getting so confused! Am not sure whether 1. remove from the fridge – bring to room temperature and add directly to the dough mix – without refreshing. Many thanks for your help and all the advice on your website! You always get it out one day in advance to get to room temperature. If it has been left in the fridge for over a week you need to refresh it first so it will be ready and active the following day. If shorter, you can use it without refreshing. Thanks for your quick reply! One last check…..(I think I get it now) use what is needed after re-feeding , when it has doubled in size, and then put back into the fridge – but without feeding? Will jot all this down for future reference and many many thanks again! Normally you feed your culture after baking to replenish your stock, so you will have the same amount as you started out with. After feeding / replenishing you keep the starter at room temperature (usually around 21C) for about 12 hours so it can develop and double or triple in size. When it has developed you can store it in the refrigerator until the next baking session. Thank you so much for providing these instructions. I have never been able to manage to get a successful starter going, and I was able to do just that with your help. I used Hogdon Mills stone ground rye flour. The starter looked like it was taking off on day 2, but by day 4 it stopped working, and looked like it was dead. I was patient, and didn’t give up on it, and by day 6 it had doubled in size and has been going strong ever since. It looks very much like your pictures. I think the activity on the first 2 or 3 days is a “false start” from some kind of yeast or bacteria, and not the true starter culture. So anyone reading this should take heart, and don’t give up on you starter just because it looks dead! Thanks again, I look forward to baking with it. We love your analysis and determination! We are sure others can benefit from your experience too. Your site is really wonderful, and I have learned so much from reading your tips. The first loaf of Pain Naturel I made was great. However, now whenever I refresh the rye starter, (as I’ve done a few times now, following your instructions) it does not double in size, although I do get some air bubbles in the starter. It seems not to move at all. When I made the original starter, I kept it in a yogurt maker and it tripled and doubled during the 5 days or so it was fermenting. Then on day six, I put it in the fridge. I am not doing anything different; what could be the problem? After feeding the starter, I leave it overnight in the yogurt maker. It is otherwise very cool in our kitchen right now, about 18C at most; even cooler at night. Should I not refrigerate the starter at all? Should I start over and not use the yogurt maker to keep it warm? It did work wonders in the beginning! Thank you very much! The temperature from the fridge to again a rather cool place could be the culprit. The first thing we would suggest is transporting it to a slightly warmer place and see what happens. Maybe refresh it and use some slightly warmer water. At temperatures of 18 or below it is no problem storing your culture outside the fridge. You just need to refresh it about every 5 days (also when not baking with it). Thank you. It seems that the yogurt maker was heating up too much, so now I am putting my starters (individual spelt; rye; and whole wheat starters) inside a kitchen cupboard which has a light beneath it and this generates a nice warmth inside the cupboard. I have also increased the temperature of the water to about 28-29C and that is making a big difference. Great to hear Patricia, how you tweaked your system to perfection! I transform my wheat starter to rye starter. And it works well, but i never made 74% rye bread so i would not know if my method suits this bread. Any suggestions? They start out fine but after a while the nailpolish smell shows up. Or should’nt you be able to smell any sour smell and just the fruity one? The first thing we would advice is trying a different (brand) flour and see where that leads. But we would encourage you to keep this one going and maybe refresh it a bit sooner and change the consistency a bit (maybe a bit thinner: also check our tips here: www.weekendbakery.com/posts…ough-tips/. Make sure not to close the jar tightly, keep a very loose lid on it so some air can reach the culture. 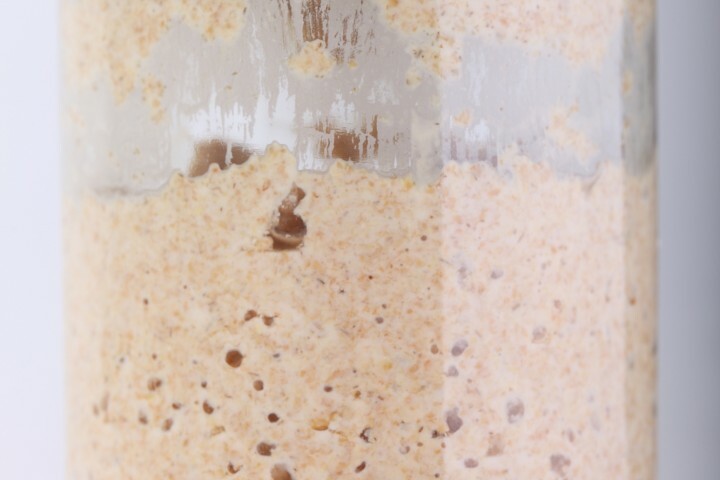 My rye starter produces bubbles and a yeasty, cider type smell that gets quite strong – but never seems to double in volume. My house is cold so I get it going using a cool bag and hot water bottle, but the smell develops before the bubbles – I’m worried it’s too acidic. I’m still discarding/feeding everyday to neutralise the smell/acidity….is it a big deal if it’s nots growing hugely? Is it time to move it to the fridge? I haven’t tried baking with it yet either. Help please! And there are also helpful tips from other bakers in the comment above. Today my third attempt on getting sourdough starter going ended with fiasco. Not that I am going to give up though. I have the same 3rd day problem of my starter going dormant after vigorous bubbling and growth as others. It does have more or less nice fruity smell as you describe it. And I keep on feeding it in the hope that it will revive, and I can persist on doing so, no issues with my patience. However the thing is, whilst I am busy with resuscitation the poor thing develops mould. My question is, can it be kept outside fridge for days on without catching a mould? After all it is an organic matter full of bacteria and culture. I am in Australia. It is 24-27C this time around. I use organic rye flour (packed in plastic bag) and bottled water. Like we say in our sourdough tips post: Any signs of fluffy stuff and strange colors on your culture. Something moved in that does not belong. So…throw it away and start again! (More sourdough tips here: www.weekendbakery.com/posts…ough-tips/). Find the coolest spot in the house and refresh rather sooner than later. Keep it covered but not closely sealed, so some air can still get in. Keep on going because you are on your way. Do not give up!